The stage is set for the biggest ever AFL International Cup in history, with 25 teams from 11 nations all arriving in Melbourne this week, including the strongest ever representation from Asia. The new 2-division format kicks off this Sunday 6th August with all teams playing their first game at Melbourne’s Royal Park. We encourage all supporters of footy in Asia to pull on your AFL Asia Club gear and get along to a game or two over the next fortnight to lend your support to all the Asian teams as they continue their footy development on the big stage. Here’s our guide to the Asian teams who will be competing in the exciting Division 2 competition, which will feature 6 teams from Asia. 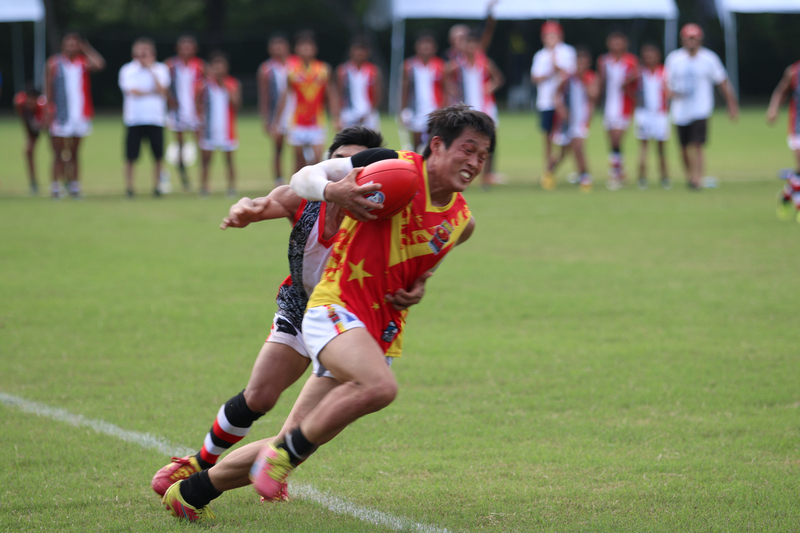 The Story: Team China is largely comprised of players from across southern China, with most being associated with the Guangzhou Scorpions South China AFL team, with further representatives from the recently-formed Huizhou Hawks and two players from Shanghai Tigers. Team China is renowned for their tough, uncompromising attack on the ball and make up for their lack of height with speed, agility and stamina. The Star: All eyes will be on Chinese weapon CHEN Shaoliang, the Guangzhou Scorpions goal kicking sensation who many in Asia will know from his several appearances with the China Reds at Asian Champs and leading goalkicker awards in the SCAFL and GDAFL leagues. 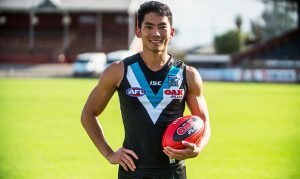 Chen’s much publicised recruitment to Port Adelaide in 2o16 went horribly wrong with a serious knee injury in just his second training session in Australia and hasn’t been seen on the footy field since, disappointingly missing Team China’s Shanghai 2017 exhibition match against the AFL Asia Lions. Always proud to wear the red and yellow, no one will be looking forward to hitting the fields of IC17 more than Chen. Players to watch: Watch out for inspirational ruckman and Guangzhou Scorpions captain CHEN Shu Kai; his development as a mobile ruckman continues to impress. The talking point: Since leaving Guangzhou for Adelaide, Chen’s knee has been one of the most talked about joints in Asia. While there is no doubt he has been working hard on the Port Adelaide training track, with such a long lay-off the big question will be his match fitness and if he is able to recapture the agility and fearless play that made him such a weapon in front of goal for the Scorpions. With AFL Europe rating their Rd1 opponents Croatia as Div 2 favorites, there won’t be any time for him to ease into things and his team will be looking for him to lead them from the front. 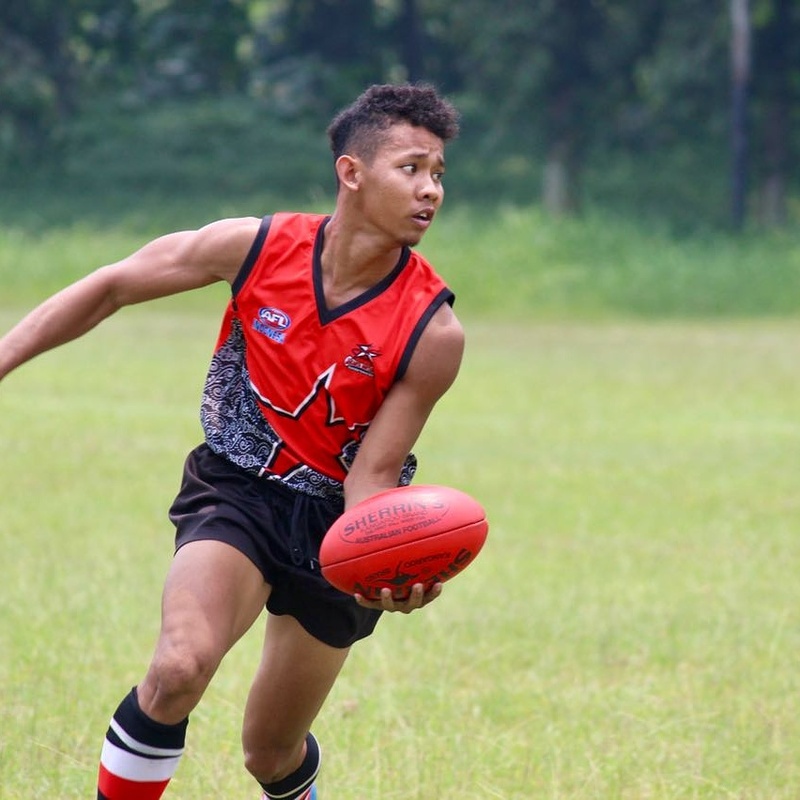 The story: It’s been a long road for the Garuda boys to come together for their second hit out at International Cup, with players from Jakarta, Balikpapan and Bali. Without a major sponsor or the support of an AFL Club team, a lot of work and fundraising has been required by volunteers from AFL Asia Clubs the Jakarta Bintangs, Borneo Bears and Bali Geckos to get the boys to Melbourne. The star: Michael Alexander – the hard running in and under player now a regular player for the Bintangs. Plays Back and Mid Field, never taking a backward step. The one to watch: Full back Anton Yakubus is a rock in defence, while not the tallest player on the park he always plays taller than he is, knocking the ball to his advantage and running hard off the back line. Plays with heart and determination. The talking point: All the publicity that team China have been getting of late has not gone unnoticed by the Garudas and this will only give them more incentive to knock off their AFL club-supported Asian rivals. Their Rd 3 game against China at Diggers Rest has all the makings of a classic and might just well be a game that determines who goes on to compete in the 1v2 Grand Final if they can account for a determined Croatia team. Guts and determination and never give up are what the Garuda boys are all about, but as we saw at Asian Champs last year after an altercation with the Singapore B team, they will need to harness that aggressive style of play and remain focused if they are to go all the way. The star: Michato Sakaki has achieved recognition as being one of the best and most successful players to learn and play the game outside of Australia. A small midfielder/rover, Michito has impressed many at previous IC tournaments with his courageous player and ball winning ability, including Kevin Sheedy who invited him to train with Essendon in 2005. His appearance for Essendon in a practice match in 2006 gave him the title of the first non-Irish international player to learn the game overseas to play at for an AFL side. He also played with the Wodonga Raiders at in the Ovens and Murray league. The one to watch: Shoki Mukodaka; Shoki is in his 3rd year of playing Australian Rules. He is the current joint Peter Wilson Medalist (JAFL League Medal) and also won the JAFL goal kicking last season. Like most Japanese players, he is small in statue, but very quick with very good hands. Small forward who is very dangerous around goal. Talking point: The Samurais will be pleased with their draw avoiding both China, Indonesia and Croatia who we think will be some of the better teams in second division. While they will go into the tournament favorites to take out their pool, the big question will be if they can maintain their position as the premier team in Asia when they cross over for what we hope will be a classic Grand Final clash against either China or Indonesia. The story: The new kids on the block. Upon completion of a successful tour of Sri Lanka in October 2016 by Carlton and Essendon players to conduct clinics, a squad of 30 have been training in Colombo. In May there were 15 chosen from the shortlist to represent Sri Lanka. Trainings have also taken place in Melbourne since March to find Australian based players to supplement the team. The one to watch: Gayan Kodagoda is an experienced rugby player from Sri Lanka. He is hard at the ball and is a tackling machine. For a player not from a traditional football background, he has very good game sense. 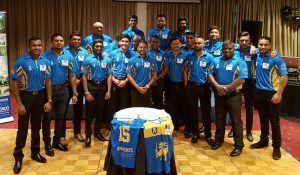 The talking point: Being the inaugural Sri Lankan team, it will all be about experience for them and they won’t want to set a limit on what they can achieve. With many of the guys coming from a rugby background, the tackling will be a highlight. There is a good mix of youth and experience and they will be sure to have play with plenty of excitement when they take the field for the first time on Sunday. The Story: Since their first appearance at the 2014 International Cup, footy in India is booming with record numbers of players kicking footies right across India. Essendon has been just one of many clubs that have recognised the potential of this sleeping football giant and has been making gradual steps to promote the game in India, including recruiting AFL India legend Sudip Chakraborty to relocate to Melbourne and work at the Hanger. 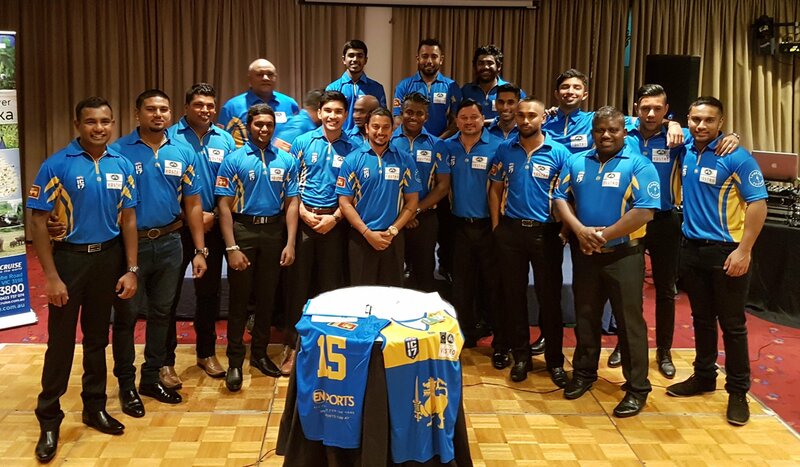 The talking point: While they may lack the experience of some of the other teams, the Indian boys will be stacked with enthusiasm, as seen in their recent fixture against an Australian Masters team who toured india to play the team in front of a massive crowd. More used to the dust and intense heat of India than the green ovals and cool temperatures of Melbourne, IC will be a great experience for them with their Rd 3 Friday night fixture under lights in Bendigo against the old enemy Pakistan sure to be one of the highlights of the International Cup. Talking Point: The dark horse of the Asian teams, not much is known about the Pakistanis. Their appearance in 2014 was supported by many local players but with eligibility criteria tightening up this year their home-grown players will need to step up if they are to impose themselves on this competition.